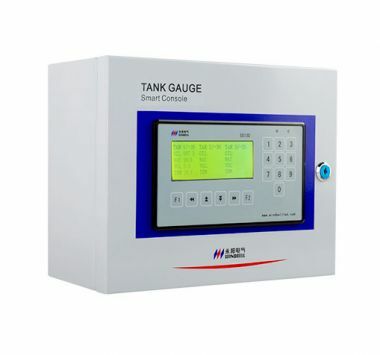 The PC Remote Software for tank level monitoring system is researched and developed by Windbell to provide a real-time tank level monitoring on computer at site office. ● PC Remote Software uses an open database format. User can easily export data to Excel for further data manipulation. ● Through PC network, all data can be easily transmitted to headquarter for decision making. 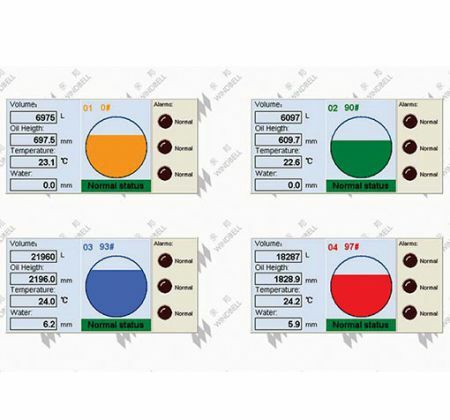 ● PC Remote Software can communicate with Windbell tank gauge console series, SS160Plus, SS130, SE100, and SM99. Enough room for expanded functions. Real time reporting delivery, inventory, shift and alarm. View history reports at any time, like shift reports, delivery reports, inventory reports and alarm reports. Files can be exported in Excel or Text format. Higher than (including) Pentium processor 1024MHz. 20 G hard drive capacity. PC Remote 100 for SM99 Tank Gauge Controller. PC Remote 200 For SS160Plus Tank Gauge Console, SS160 Economic Tank Gauge Console and SE100 Ex-proof Tank Gauge Console.